Availability: Usually ships same day or next business day if after 2 PM. 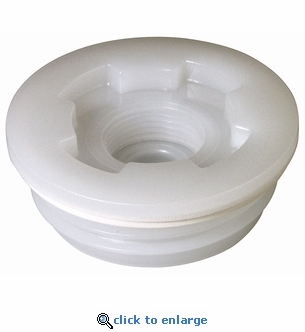 This 2" coarse thread bung cap with gasket replaces worn or damaged caps on your long-term water storage barrels. The cap includes a 3/4" knockout for spigots and hoses and is made from FDA approved materials for water storage. Coarse thread fits 63mm American Buttress thread plugs. Comes with 3/4" NPT knockout for hoses or spigots.